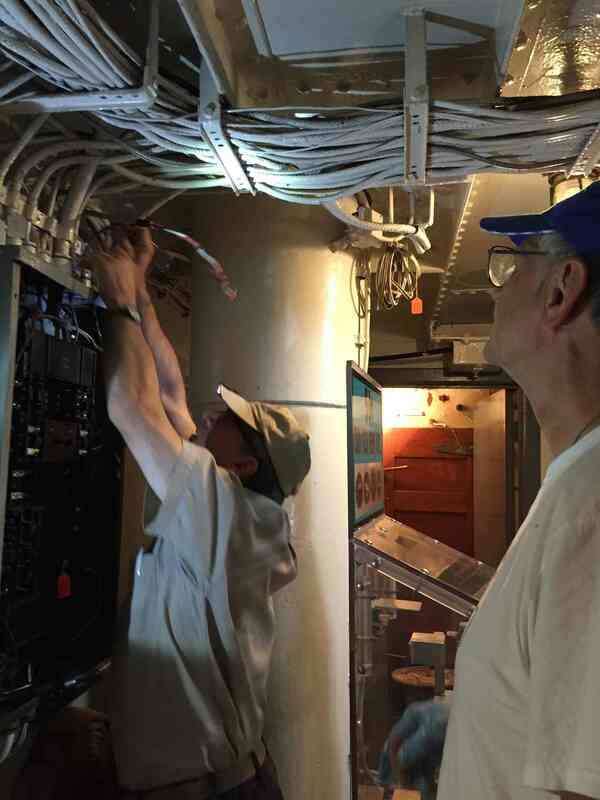 Workday: Historic Ships in Baltimore – June 18, 2016 – Chesapeake Chapter U.S.L.H.S. Greg and Tony work on electrical wiring. 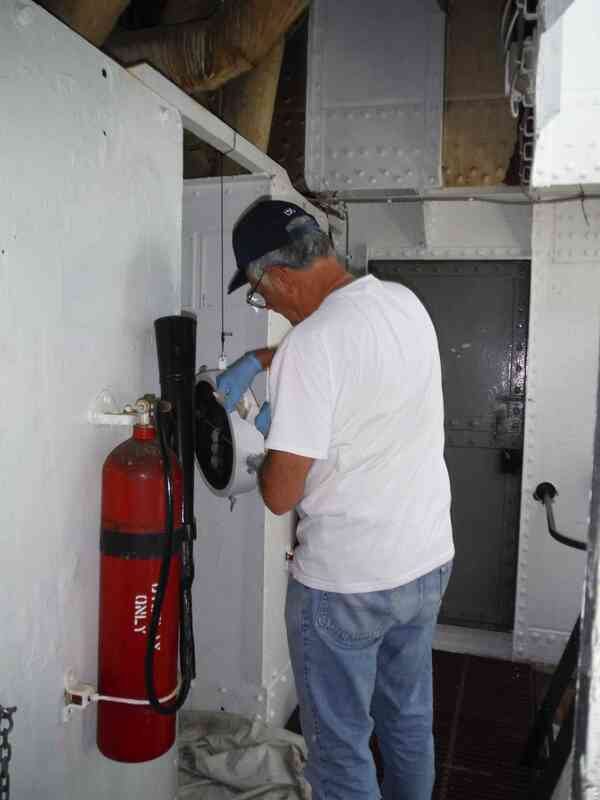 We had another small crew on the Lightship workday on Saturday June 18th. The official start of summer was still a few days away, but the heat had already arrived. It was a warm day with bright blue skies as three volunteers spent the day on the bright red floating lighthouse. 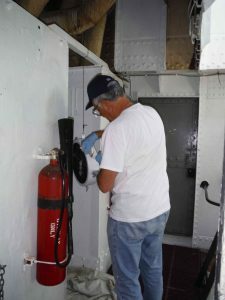 Volunteers spent time painting and scraping anything not moving as well as working on some of the electrical fixtures on our favorite lightship. Some of the electrical brackets take a while to loosen since over the years they’ve received several coats of paint. As a result they must be more or less chiseled out. This took a bit of time and elbow grease. The brackets were loosened and the old wiring for the chill box lighting was removed. Additional electrical work was also done as the wiring is slowly being replaced throughout the ship. The Cook’s Cabin is shaping up. In the past we scraped off all the old paint so now we are applying some new paint. The porthole frames were given a coat of white paint, as were two of the bulkheads. Well, portions of the two of the bulkheads. They were having some scouts spend the night, so we limited what we did so it would have time to dry. They use the cooks cabin to help prepare meals. (Oddly enough!) Since the paint was out we gave some electrical clips a coat of paint, and then the signal light that is being restored was also given a coat of paint. Tony painting a part of the signal light.